Updates to PHYLLIS J. 's profile since your last visit are highlighted in yellow. PHYLLIS J. CHILDERS OCEAN updated her profile. View. 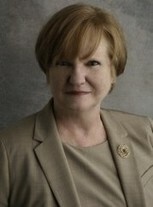 PHYLLIS J. CHILDERS OCEAN added a comment on her Profile. PHYLLIS J. CHILDERS OCEAN has a birthday today. PHYLLIS J. CHILDERS OCEAN posted a message. New comment added. Martha, my friend. Looks like another year has passed. I hope this has been an exceptionally Happy Birthday! Jon and I are purchasing a home in Jacksonville, FL right now, so it looks like we will be closer neighbors soon. Have a wonderful rest of the day! PHYLLIS J. CHILDERS OCEAN posted a message. PHYLLIS J. CHILDERS OCEAN changed her "Now" picture.